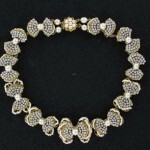 SKU: NK1167. 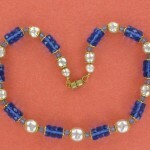 Category: Austria, European Jewelry, Necklaces. 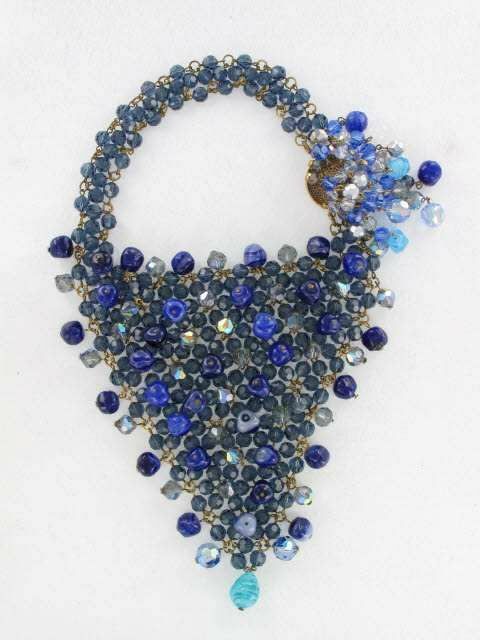 UNBELIEVABLE colossal crystal bib necklace. 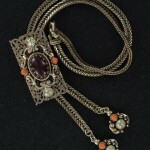 Stunning, unusual, bold, just simply WOW necklace! Probably made for runway. 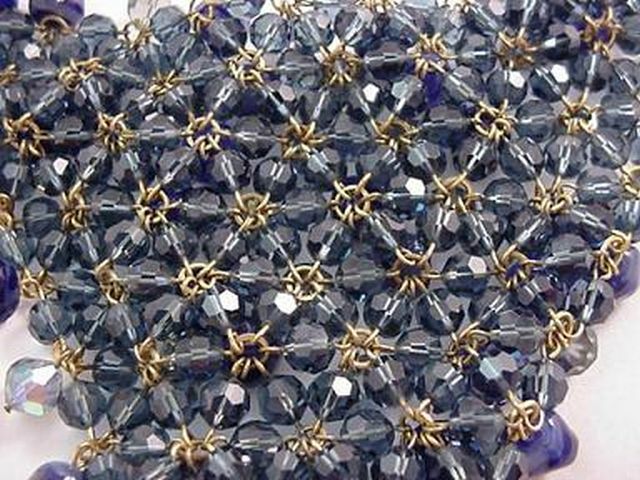 Base (the underside) is made of blue crystals connected by brass wires and small brass rings. 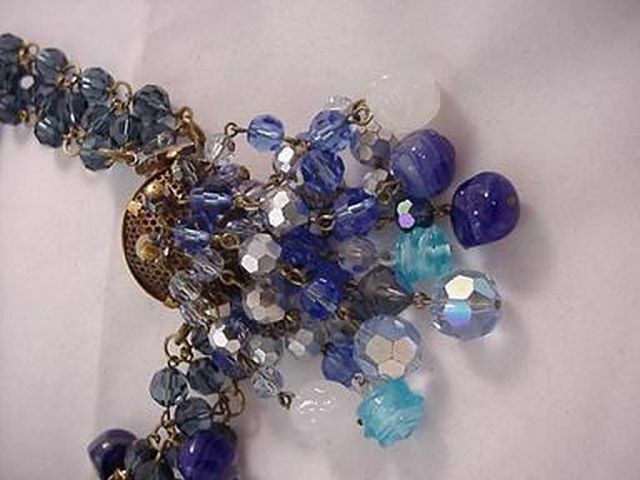 Lots and lots of cobalt blue (with some light blue) art glass beads and blue crystals with Aurora Borealis finish on half of the bead are suspended on wires all over the bib. 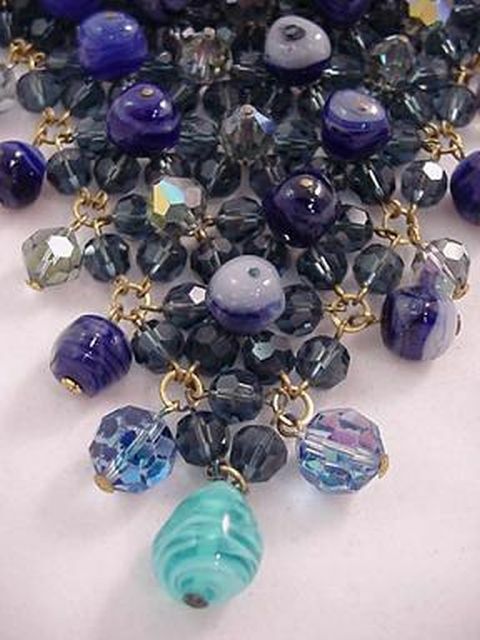 Large Aqua art glass bead on the bottom. 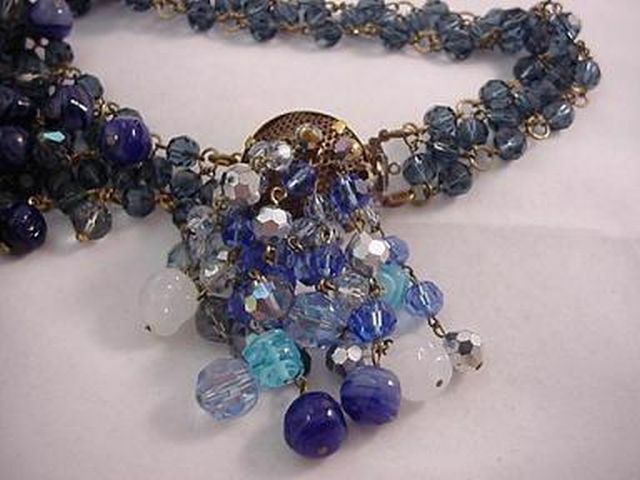 Beautiful brass mesh clasp is adorned by strands of crystals and art glass beads. Very well made! 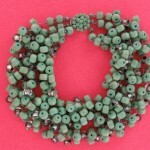 Measures 16.5″ at the neckline and 3/4″ wide at the neckline. The bib itself is a triangle of 7″ wide by 7″ long. 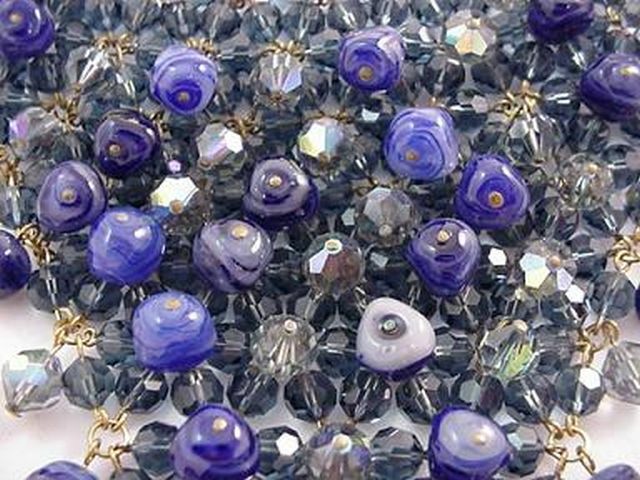 Clasp 1 1/8″ in diameter with strands of beads dripping down 2.5″. 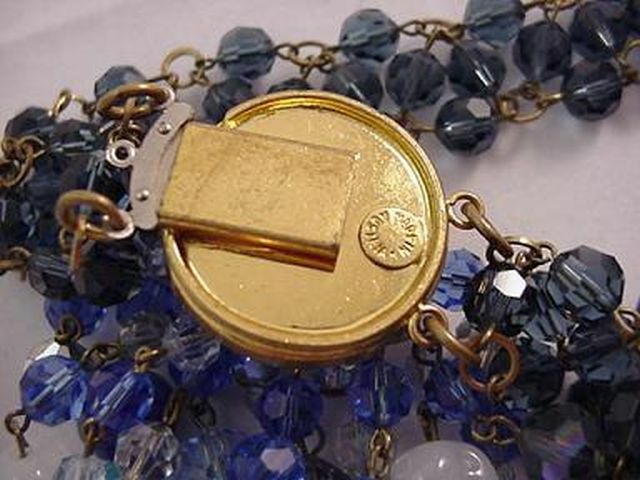 Clasp is signed “Made in Austria”. Excellent condition.